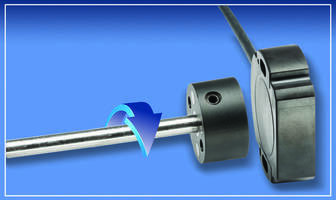 The Vert-X 2800 Series Sensors are available in single and fully redundant versions with measurement ranging from 0 to 360° and a repeatability of 0.1°. The units are suitable for industrial, medical and off-highway vehicle applications and can be operated in -40 to +85°C temperature range. 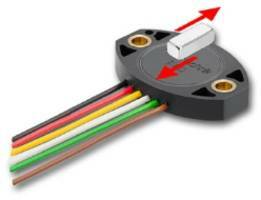 The sensors are offered in housing with base diameter of 28 mm and are sealed to IP 65. They provide up to 14-bit resolution and linearity to ±0.1 % of measurement range and the sensor’s J1939 CAN bus option allows peer-to-peer or broadcast signaling. 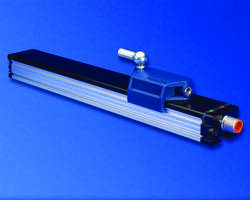 Southborough, MA… Novotechnik, U.S. introduces the Vert-X 2800 Series of sensors that measure angular position. 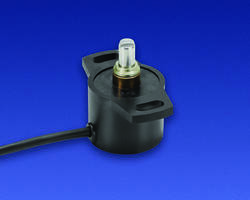 These sensors convert rotational angle into an analog or digital output. Digital interface options include J1939 CANBus as well as SPI and PWM. The J1939 CAN bus option enables peer-to-peer or broadcast signaling and is a standard often found in commercial vehicle applications. J1939 is a software protocol associated with CAN bus and provides serial data communications between microprocessor systems connected through the bus. 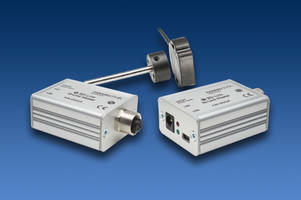 Vert-X 2800 Series sensors are available in single and fully redundant versions. Measurement range is 0 to 360° with repeatability of 0.1°. Available analog outputs are 4 to 20 mA, 0.1 to 10 V, 10 to 90% of supply voltage and 5 to 95% of supply voltage. 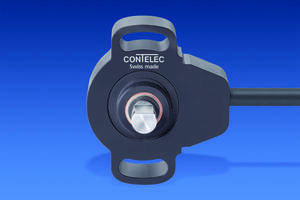 Up to two programmable TTL-level switches are options. Users can select a stock part to simply measure angle or they can be configured, using a tool connected to your PC called Easy Adapt, to be application-specific. Possible configurations include start- and end-angles for less than 360° maximum range, index point, cw or ccw indication, calibration settings and non-linear curves. Other key Vert-X 2800 Series specifications include housing base diameter of 28 mm, up to 14-bit resolution and linearity to ±0.1 % of measurement range. The sensors are sealed to IP 65, life is ≥ 50 million movements and MTTF is over 100 years. These sensors are ideal for industrial, medical and off-highway vehicle applications with an operating temperature range of -40 to +85°C. To learn more contact Novotechnik U.S. at 508-485-2244 or view specific Vert-X 2800 Series information at www.novotechnik.com/vx28 .